And it began in this way. In 1988 I read a short article according to which not only once human civilizations had been destroyed because of the practical usage of some mysterious knowledge. The people who had survived,fased indescribable deprivations and sufferings and they passed on the reason of their prosperity and rapid destruction to other generations. Finally they immortalized this reason in a monument in the way of coded information. Then it was also spoken about the monument,which was the pyramid. Due to long meditations I made suppositions according to which,if we accept,that the abovementioned monument is the pyramid,in this case one must answer two principally important questions. 1. What does it represent? How must be the hypotetically supposed code of the pyramid? 2. In what way may be coded the information we are interested in? 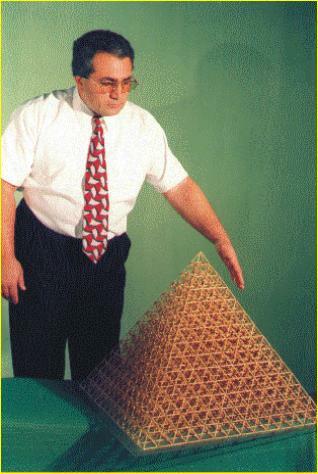 Proceeding from the fact of the existence of many pyramids with different geometrical characteristics, I concluded, that if we consider that the above-mentioned monument is the pyramid in this case its size is not of principal importance from the point of its cryptographical value. Not at once,but gradually I came to a very important conclusion. In some definite period of my investigations,I finally understood, that both the essence and the mystery of the supposed code must be looked for in the platitude of the study and usage of some praktical peculiarities of the geometrical form of the pyramid. Since the beginning of 1992 I was principally ready how to answer these 2 above-stated questions, and my further work only confirmed the bases of such readiness. Now I’d like to introduce you to the main results of my investigations. Investigations on the principal model ofthe hypotetically supposed code of the pyramid, brought me to the following important conclusions and it will be difficult not to value it in the course of time. 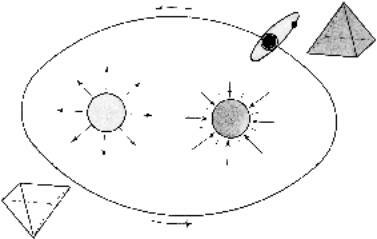 Connected with it, I’dlike to remined you of the well-known Law of Kepler, according to which planets rotate round the Sun in elliptical orbits and the Sun is in one of the focuses of the ellipse. And what is there in the other focus of the elliptical orbit of the planets? As you see this question is not dictated as a simple curiosity. Partial deciphering of the mathematical code of the pyramid showed the following: The energy which is absorbed by the 2nd focus of the elliptical orbit of the planets is nothing else but information. In the same focus as a result of still unknown synthesis from 1 atom of Helium ( He ) are received 4 atoms of Hydrogen ( H ). If in the case of the Sun we say that the thermo-nuclear synthesis is accompanied by the exhaust of thermal and radioactive energy, in the case of the 2nd focus, we can’t say that, because the synthesis is not thermo-nuclear and is not accompanied by the exhaust, but by absorbing energy, which can’t be characterized as either thermal or radioactiv. It is supposed, that from the 2nd focus of the elliptical orbit of the planets is absorbed the information which is separated from the physical body, when any biological unit dies, both in flora and fauna. What concerns the information value, any aliveunit can be characterized as information bearing one. After death of any biological unit, the information having benn stored by them during the life-time, that’s to say, their life experience can’t be lost. I think, that from the 2nd focus of the elliptical orbit of the planets is absorbed the life experience of all the carriers of biological life. It turns out that the cup of the world experience is stored in the 2nd focus. I think probably there must exist the law of conservation of energy or life experience. The energy which absorbs all the above-stated energy differs both in quality and principle from the energy which is emitted by the Sun. I am sure, that this is the reason why humanbeings can’t revel the 2nd focus in the real aspect. Probably this is the reason, why people begin to fix attention on the 2nd focus after death. The rightness of this conclusion is even given by the people who have gone through clinical death. They all say one and all that they had seen the dazzling source of light where they all were directed to. As you remember, the construction of the pyramid, suggested by me, according to my deep convictions is a mathematical cryptogram and it had 14 steps and consisted of 365 small pyramids. Look at the diagram, please. out, what the figures 3, 6 and 5 could mean together. And what does the figure 14 mean? Looking at the column, which corresponds the planet Earth, we shall see, that the picture received as a result, is the horizontal projection of the pyramid. Looking at the geometrical structure of the pyramid, it is not difficult to see, how the figure 14 is the combination of the figures 1 and 4 and in the same way the pyramid consists of 1 aquare basis and 4 facets. It isn’t difficult either to see, that we have one point on the top of the pyramid and four at the basis. During my investigations just from the begining I analysed and paid great attention to both historical and religious literature, trying to find even one record connected with the code of the pyramid. I must tell you, such records I found just in the Bible. Being far from every kind of religious superstitions, I concentrated my attention especially on the comparative analyses.Now I represent 2 articles from the book “Revelation” by the apostle John.As for me, it is very interesting from the point of deciphering the code of the pyramid. If we read “The Revelation” by the apostle John Ch. 21/13-21, we shall find such expressions there. 1. Itsays “The city was perfectly square. Its length and width were equal”. 3. “The square of the city is of pure gold like limpid glass”. Let’s analyse the first point. a. If the city is square thus. b. Its length and width are equal, X = Y.
Let’s analyse the second point. The city has 3 gates on the East, 3 gates on the South, 3 on the Nort and 3 on the West. 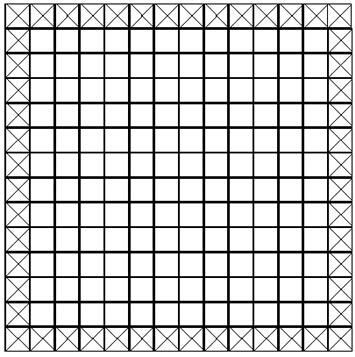 If we divide the square into 3 equal parts we’ll get “3 gates” on each cide. Besides taking into consideration the fact, that the Egyptian pyramids have austronomical perfect orientation, we can obviously see, that such a ferm we have in the basis of the 3rd stem of the hypothetically supposed code of the pyramid. What information can give us figure 8 this fact? 8 cells are engaged with pyramids and 1 is vacant. The answer to this question I found with the help of the list of chemical elements. Taking into account the fact, that the planet Earth is the 3rd one from the Sun and that this experssion refers to the 3rd stem from the top of the code, it wasn’t difficult to understand that 9-is water (H2O), as the molecule of water also consists of 3 atoms, 2 atoms of Hydrogen and 1 atom of Oxygen. Let’s go forward. What connection has the basis of the code with gold and glass? ( Si ) or the same glass, and 196-is Aurum ( Au ) gold. Thus it turned out, that 14-is glass and 196-is gold and they both are lying in the basis of the code. I am deeply convinced, that only due to this analysis, we can comprehend the biblical expression “The square of the city is of pure gold likelimpid glass”. If turns out, that the Bible is full of allegorical codes and their diciphering can be of great help for the exact science. And at last look at yor hand, please. 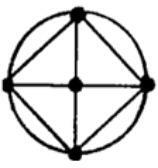 It is “built” according to the princiole of the figure 14. The tumb is one ( 1 )and the rest of the fingers together are four (4). The thumb has 2 divisions and the other 4 fingers have 3 divisions. 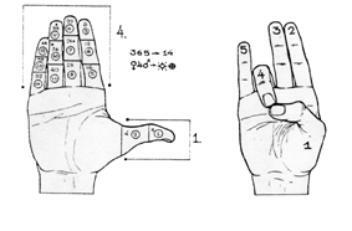 If turns out, that the total number of the finger divisions is also 14. In the icons the thumb of Jesus Crist is joined with the ring finger. What is it if not more symbolic expression of the figure 14. Look at the pictures, please. In Israel, in Bethlehem, where jesus Crist was born, now there stands the Genesis Cathedral, and here is kept the 14-winged star, which had been given to Mariam by the prophets, as mentioned in the Bible. 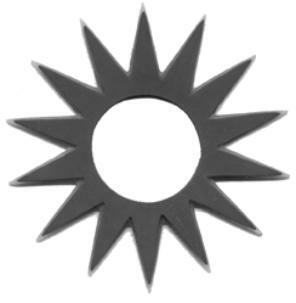 The advice of the 14-winged star becomes quite understadable connected with the problem of diciphering the hypothetically supposed code of the 14 stepped pyramid. Looking at the picture we’ll be sure in the rightness of this version in the following way. 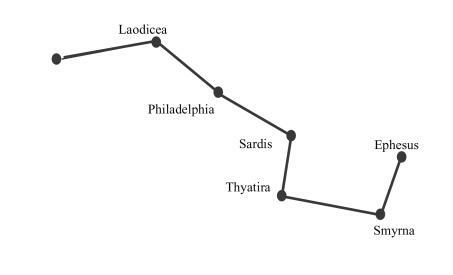 We fix the constellation of “ The Big Dipper “ withhout the third city that’s to say without the star mentioned by the name of Pergam. It turns out, that Pergam is our Solar system, and it is right, as observing the starry sky from the planet Earth,we can’t find ourselves in the starry sky. The following appears. “ I know a certain Christian men who fourteen years ago was snatched up to the highest heaaven ( I do not know wheter this actually happened or whether he had avison-only God knows ). I repeat, I know that this men was snatched to Paradis, up to the 3rd sky. The Bible helped us to define, that our universe is the 3rd one. And due to “ The Vision of Hermes “ we define, that the predestination having been defined for the 3rd heaven by God is - Justice, as just because in the 3rd sphere was written this conception. That it corresponds to the facts, can make certain the existence of great number of constitutions, variouslaws, declarations and other legislative acts on our planet. This is one more revelation of the mystery in the Universal Hierarchy. Based on great number of facts I ascertained, that it is the 8th time, mankind has faced the fact of the world-wide catastrophies. The Flood in the times of the biblical Noah was the 8th and the last one. Consequently our civilization is the 9th one. Gradually step by step I came to the conclusion, that for several times world-wide catastrophies were directly connected with the work of practical usage of the information, which had arisen from the dephs of the coded information of the pyramid. The code of the pyramid like starry gates can open the way to the stars, but it can be a weapon of self-destruction for our civilization as well. The history of science shows, that many scientific discoveries didn’t only serve for mankind, but were against people and civilizations.